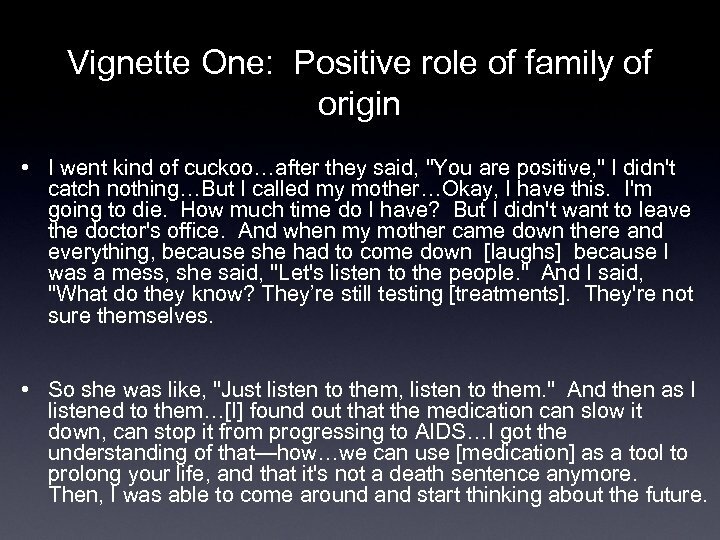 Vignette One: Positive role of family of origin • I went kind of cuckoo…after they said, "You are positive, " I didn't catch nothing…But I called my mother…Okay, I have this. I'm going to die. How much time do I have? But I didn't want to leave the doctor's office. And when my mother came down there and everything, because she had to come down [laughs] because I was a mess, she said, "Let's listen to the people. " And I said, "What do they know? They’re still testing [treatments]. They're not sure themselves. • So she was like, "Just listen to them, listen to them. " 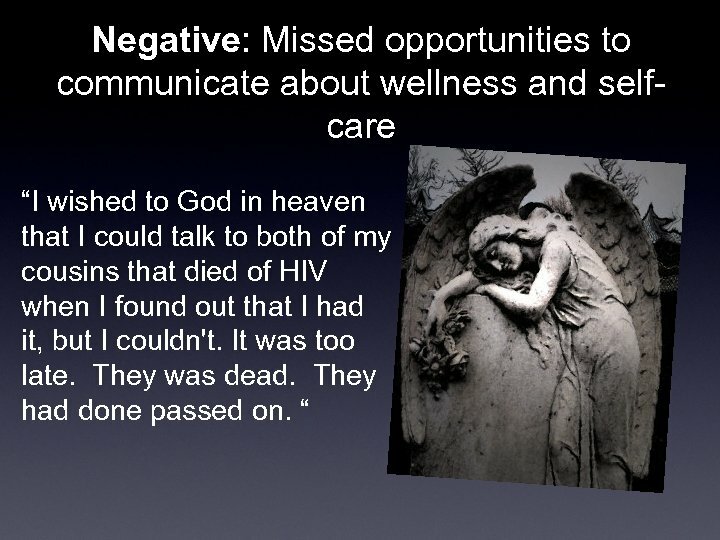 And then as I listened to them…[I] found out that the medication can slow it down, can stop it from progressing to AIDS…I got the understanding of that—how…we can use [medication] as a tool to prolong your life, and that it's not a death sentence anymore. Then, I was able to come around and start thinking about the future. 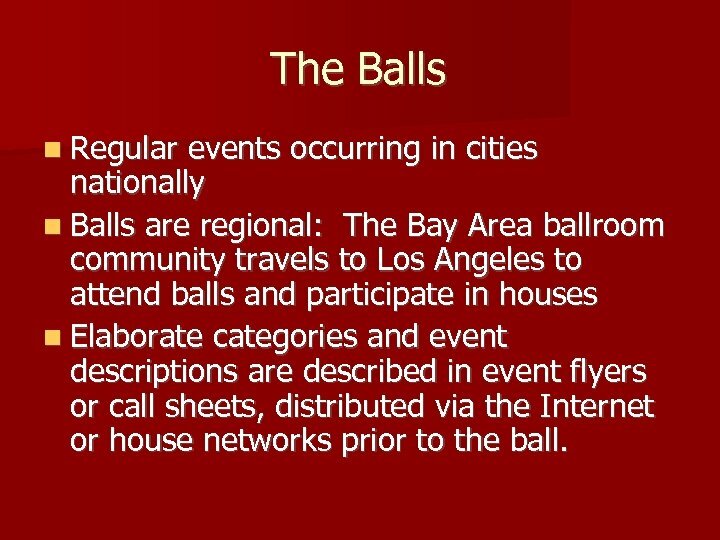 The Balls n Regular events occurring in cities nationally n Balls are regional: The Bay Area ballroom community travels to Los Angeles to attend balls and participate in houses n Elaborate categories and event descriptions are described in event flyers or call sheets, distributed via the Internet or house networks prior to the ball. Ball House History & Prevention in Detroit, Michigan • The House culture reached Detroit in the 1990’s. 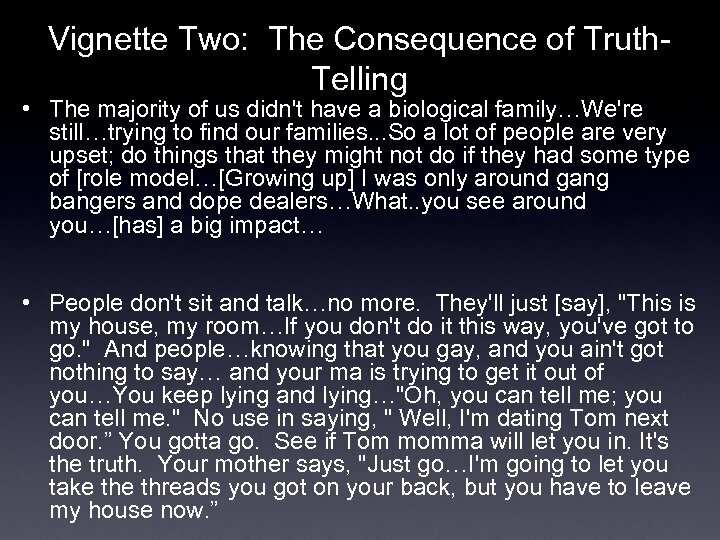 • The House structure often replaces the support of young men who are rejected by their biological families. 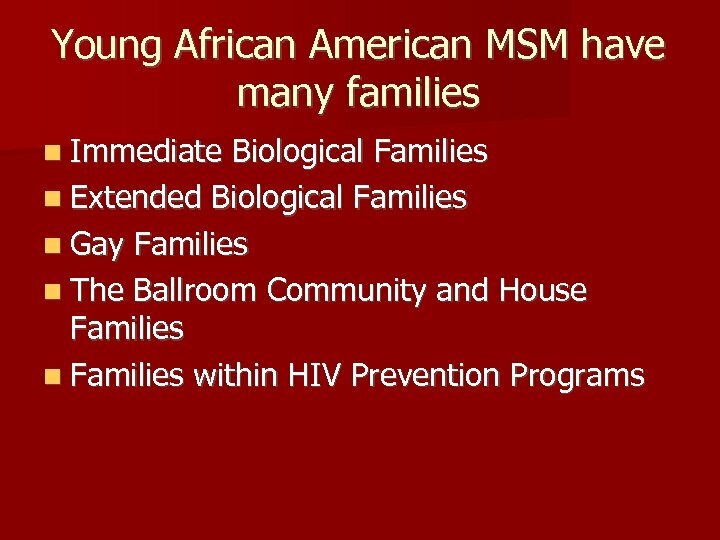 How is a House Family related to HIV prevention? 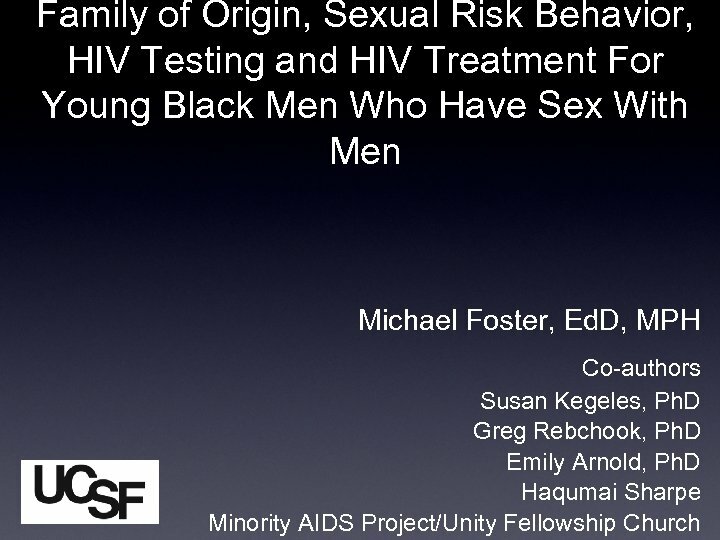 • • Many members are involved in high risk sexual behaviors. 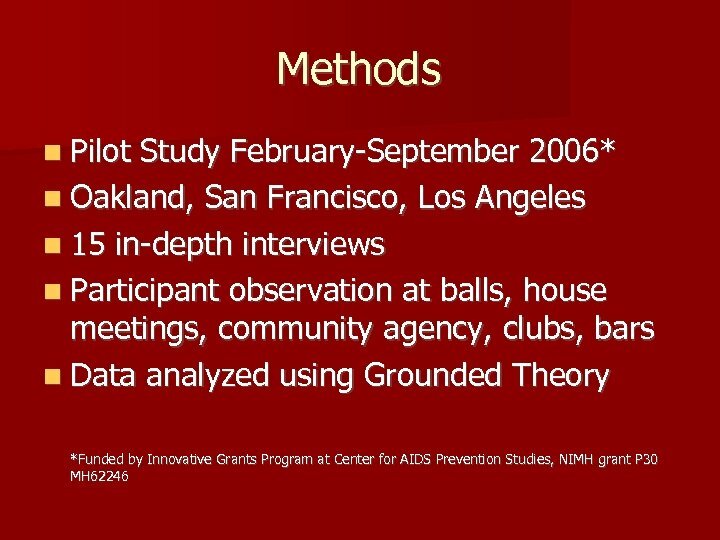 There is a high prevalence of alcohol and other substance use. 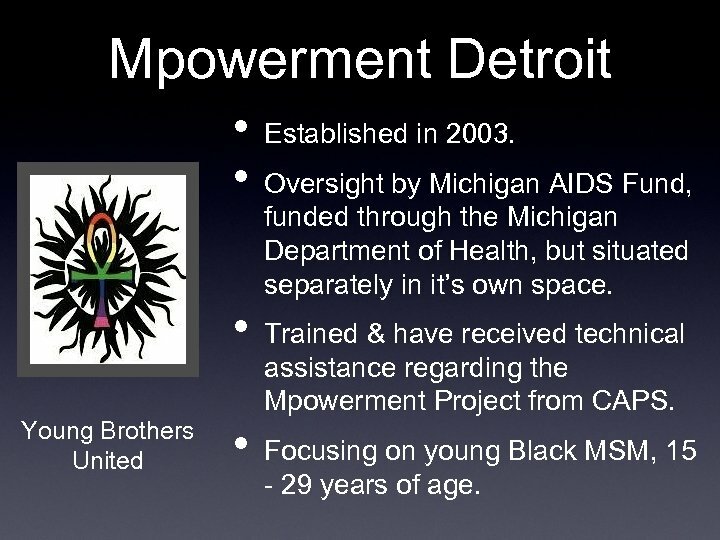 Mpowerment Detroit • • • Young Brothers United • Established in 2003. 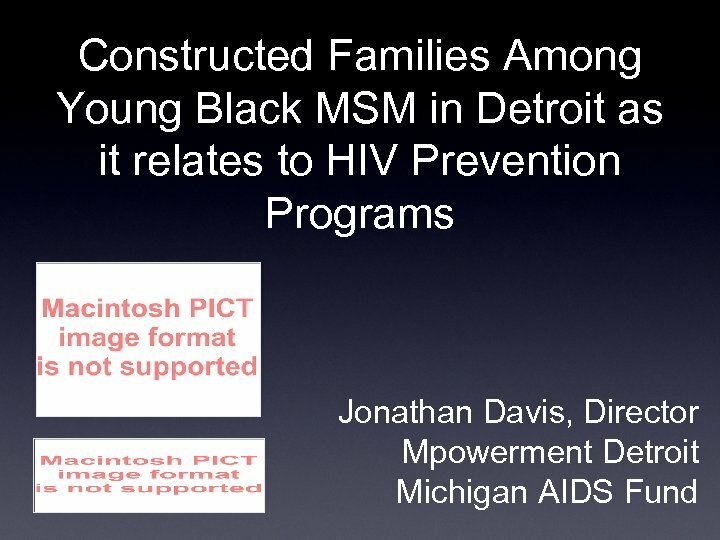 Oversight by Michigan AIDS Fund, funded through the Michigan Department of Health, but situated separately in it’s own space. 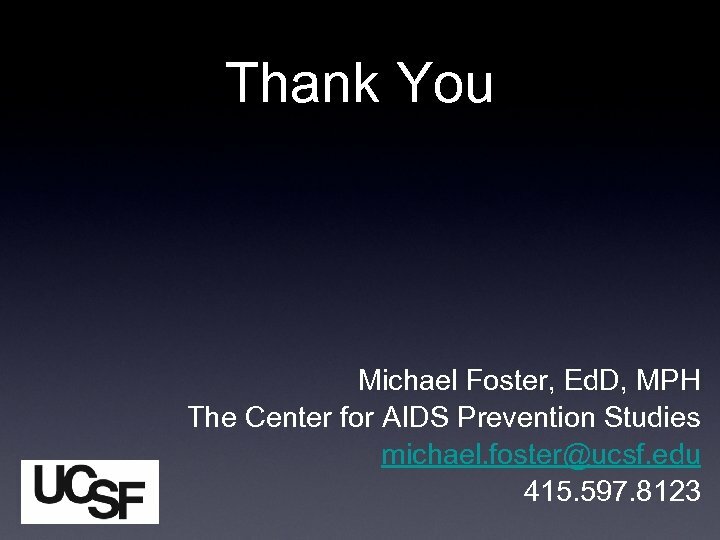 Trained & have received technical assistance regarding the Mpowerment Project from CAPS. 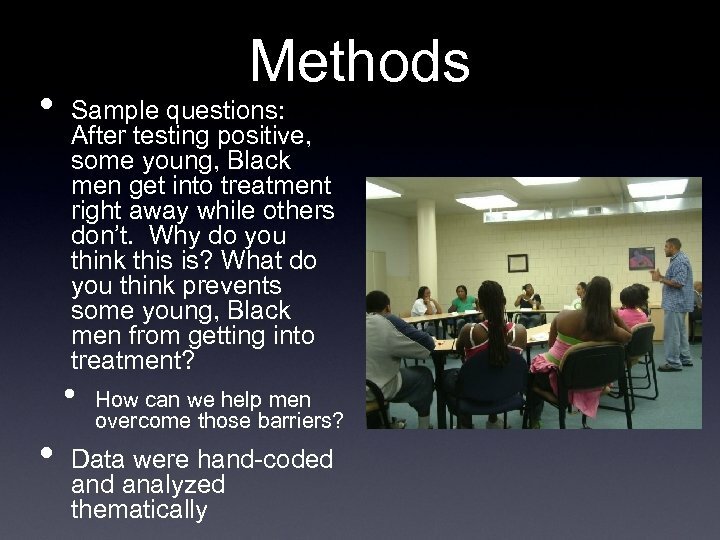 Focusing on young Black MSM, 15 - 29 years of age. Young men come to the project • • They have a place to call their own. The space is a safe haven. 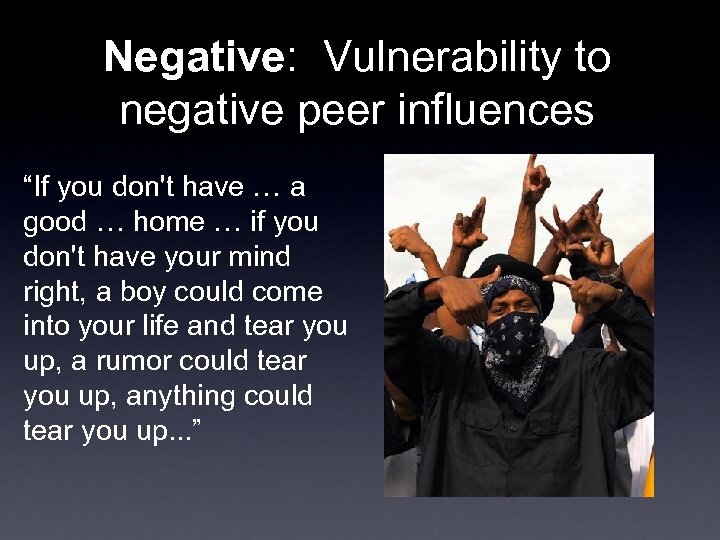 It’s a peer-lead project. 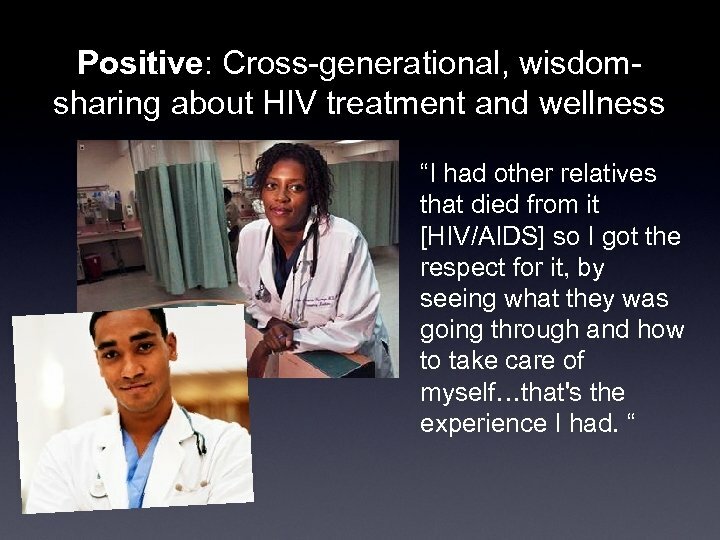 Provides mutual support in an accepting atmosphere. To gain knowledge. • • Project has resulted in another kind of constructed family. 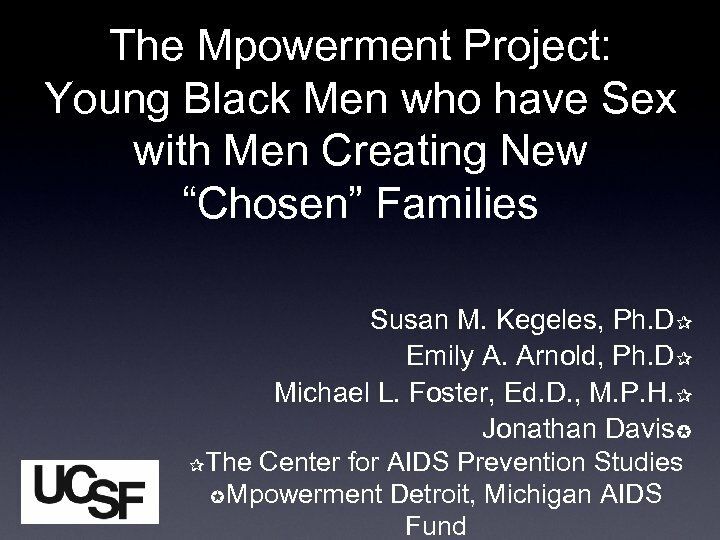 Estimated 400 young men participate in the project annually, 25 new young men come into the project monthly, and 50 men regularly attend events. 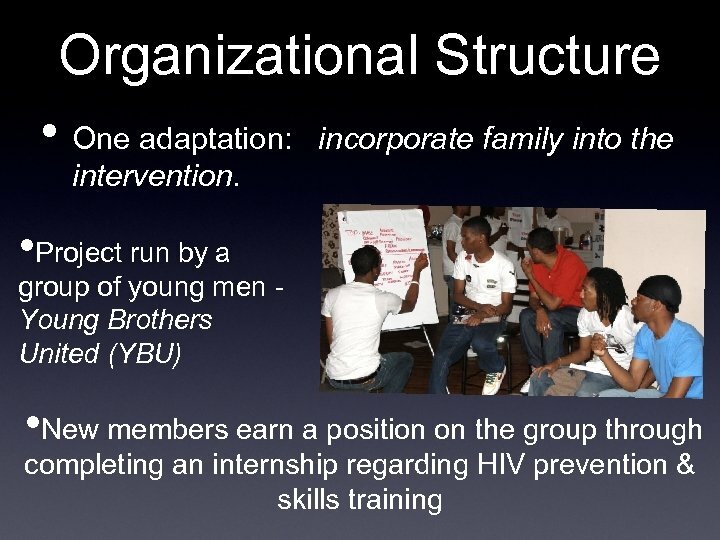 • Close-knit group is Young Brothers United. • Creates a sense of family. 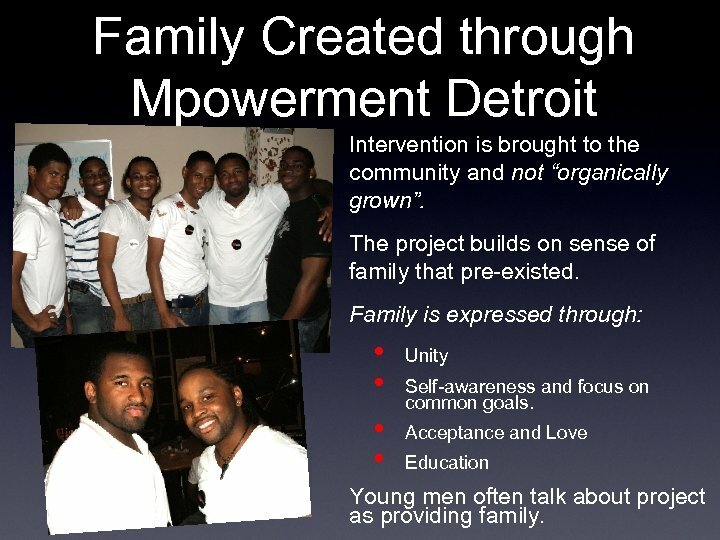 Family Created through Mpowerment Detroit Intervention is brought to the community and not “organically grown”. The project builds on sense of family that pre-existed. Family is expressed through: • • Unity Self-awareness and focus on common goals. 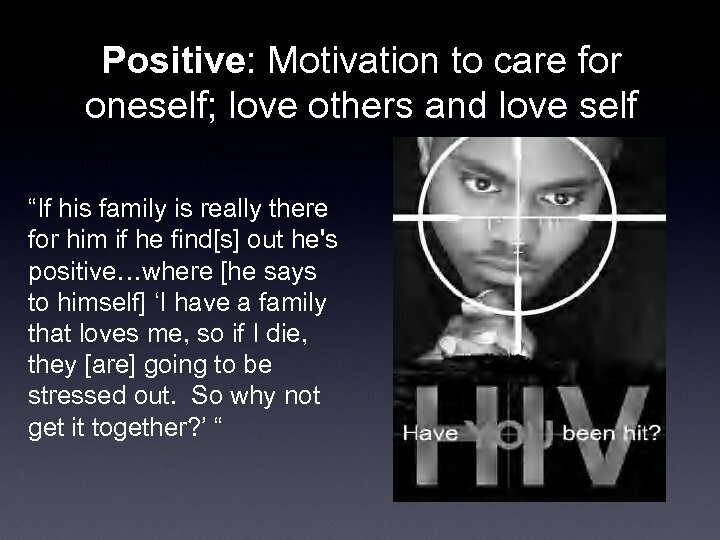 Acceptance and Love Education Young men often talk about project as providing family. 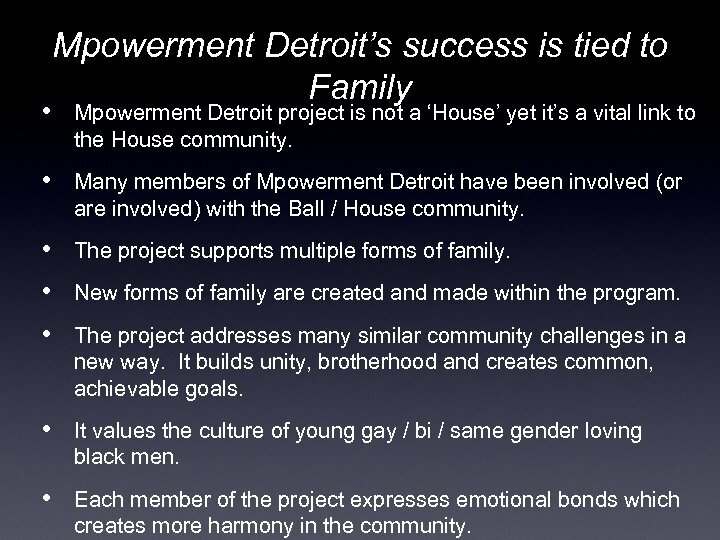 Mpowerment Detroit’s success is tied to Family • Mpowerment Detroit project is not a ‘House’ yet it’s a vital link to the House community. 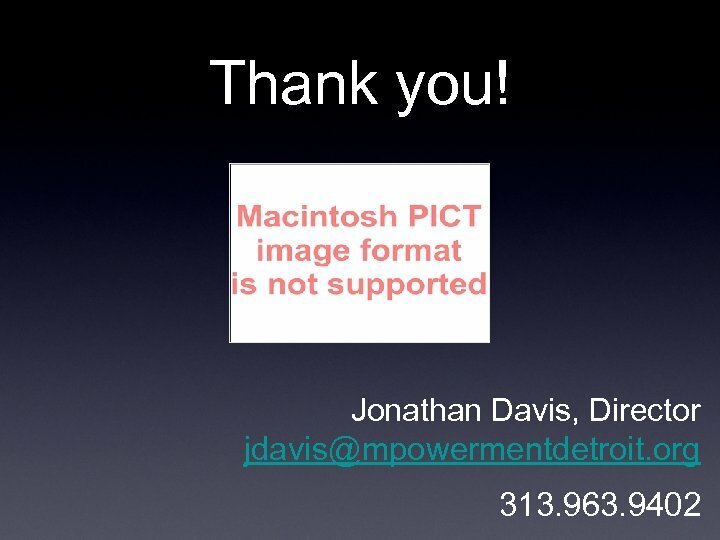 • Many members of Mpowerment Detroit have been involved (or are involved) with the Ball / House community. 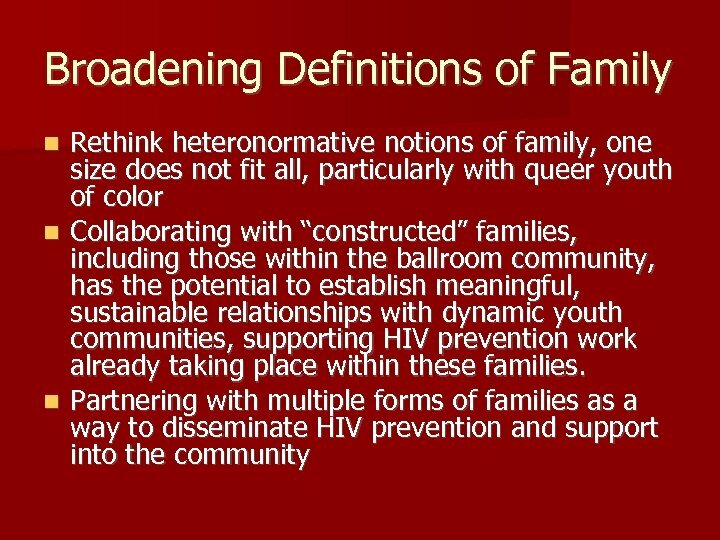 • The project supports multiple forms of family. 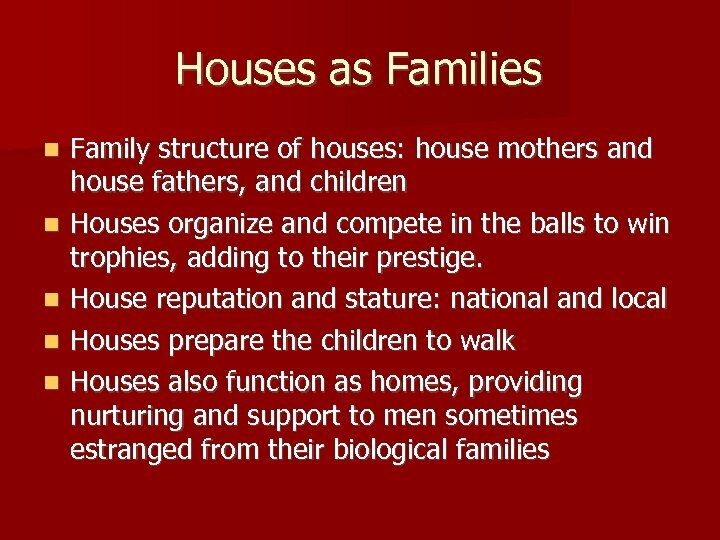 • New forms of family are created and made within the program. 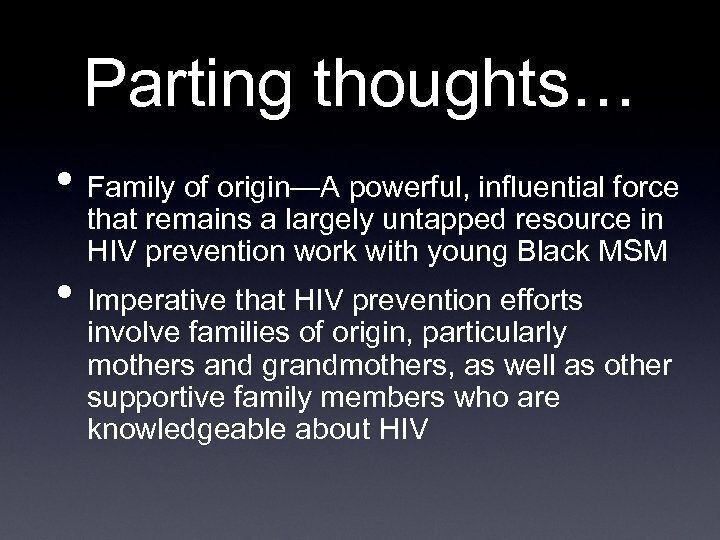 • The project addresses many similar community challenges in a new way. It builds unity, brotherhood and creates common, achievable goals. 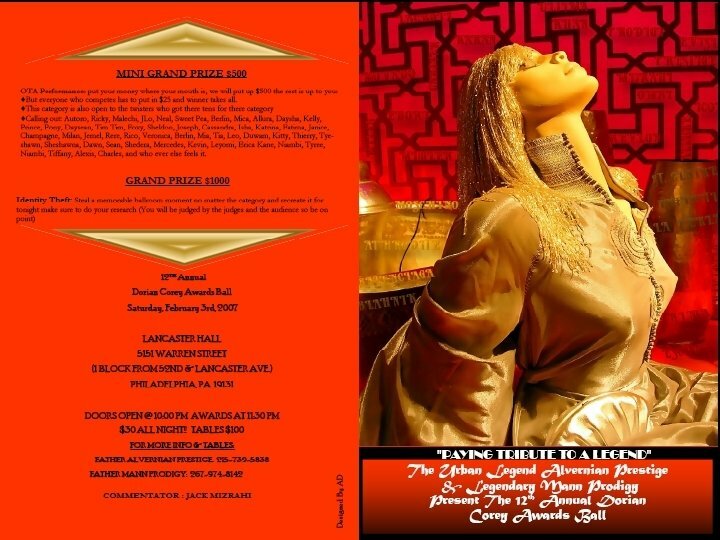 • It values the culture of young gay / bi / same gender loving black men. • Each member of the project expresses emotional bonds which creates more harmony in the community. 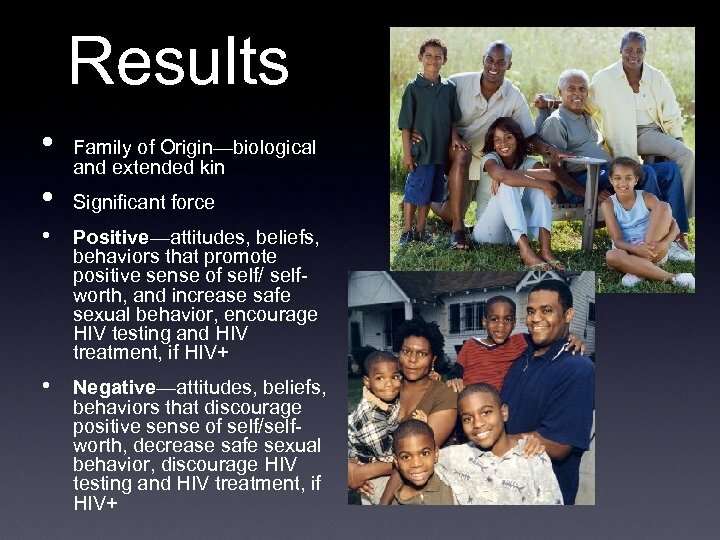 Creating a Diverse Family is also Good Because… • It builds selfesteem. • Establishes trust. • Encourages lasting friendships. • It’s empowering. 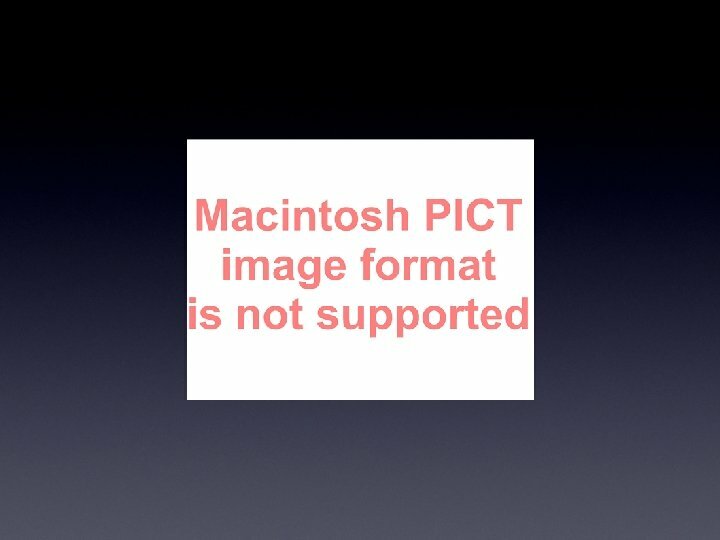 • Allows for a larger, more vibrant project.